CHRISTIAN BABLES just won the best actor award at the recent Hanoi International Filmfest for his portrayal of the probinsiyano, Intoy, in Chito Rono’s “Signal Rock”. He went there in person to attend the opening night. 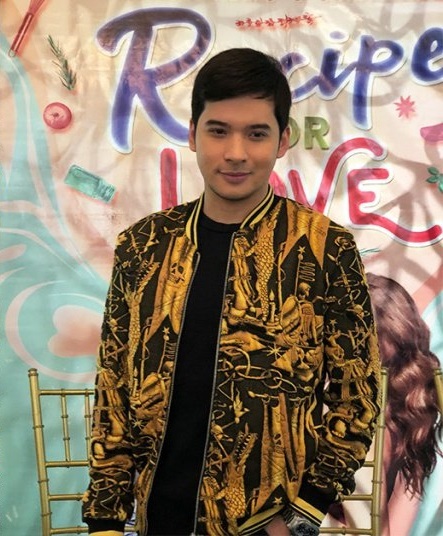 “It’s a humbling experience kasi ang daming international actors present representing their own countries and I felt intimidated,” he says at the presscon of his new movie with Regal Entertainment, “Recipe for Love”, that starts showing in theaters this Wednesday. “Parang sanay na sila ganoon and it’s my first time to attend such an international affair so naninibago ako. He’s now happy to do his first romantic comedy, “Recipe for Love”, where he plays Calix, the chef in a top restaurant. He then crosses paths with Cora Waddell as a food blogger who criticizes his cooking. They start on the wrong foot but, ultimately, the get to know each other better and love blossoms between them. How is it working with a newcomer like Cora?